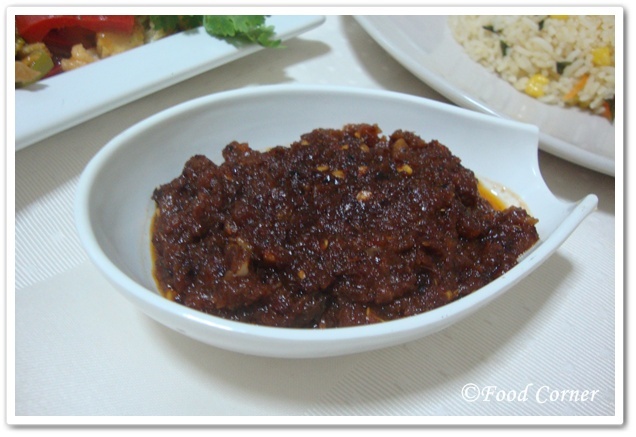 Chili Paste is popular among Sri Lankans, specially with Chinese Fried Rice. 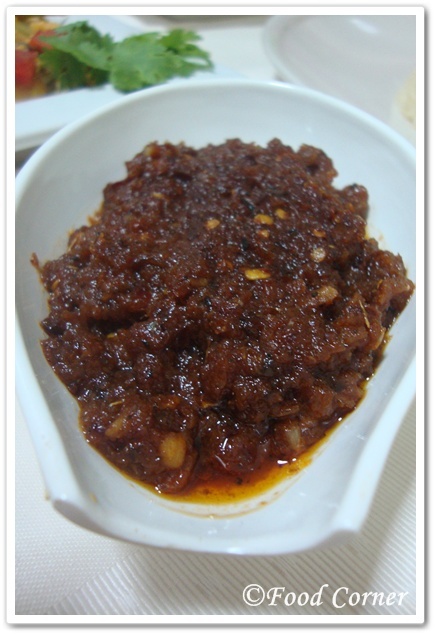 So this can be called as Chinese Chili Paste. But I want to say Chinese food we find in Sri Lanka is bit different from actual Chinese Food I find in Singapore. However, still I love Sri Lankan Chinese Food. 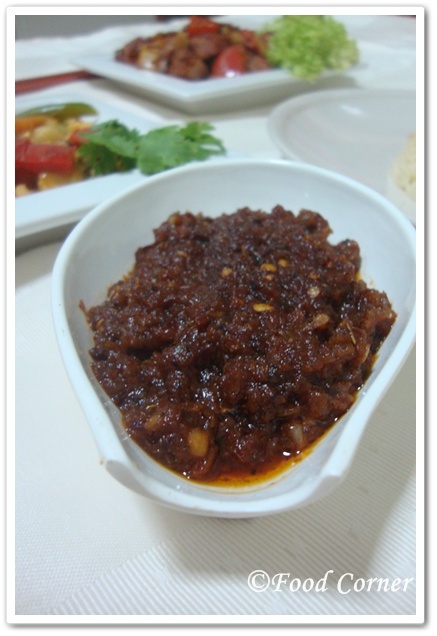 Our chefs have adapted many Chinese Recipes according to Sri Lankan taste. 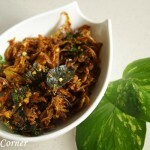 So can I say, Sri Lankan Chinese recipes are little bit spicy? 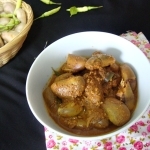 I have posted some Sri Lankan Chili Recipes before. 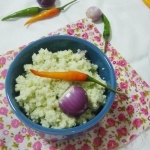 Even there is another Chili paste recipe posted under Lamprais recipe(Lump Rice). Please check them. 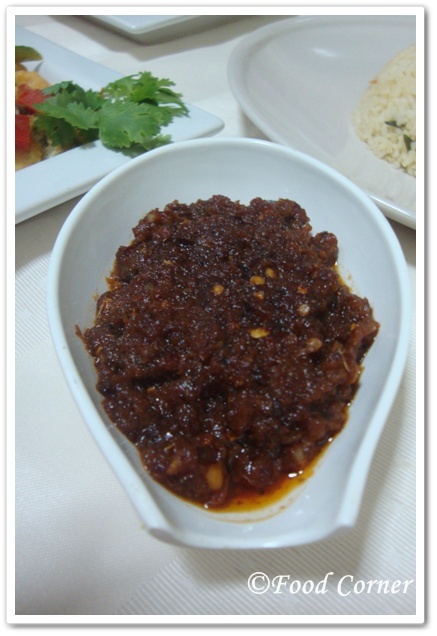 Here is the recipe for Sri Lankan Style Chinese Chili Paste. Heat oil , Add garlic/ginger paste. 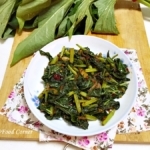 When it gives aroma, add shrimp paste. Then Chili pieces.& mix well. When the colour turns in to brown, Add sugar & salt. Finally add tomato sauce & soy sauce. If you feel, chilli paste is dry, add a little bit tomato sauce. 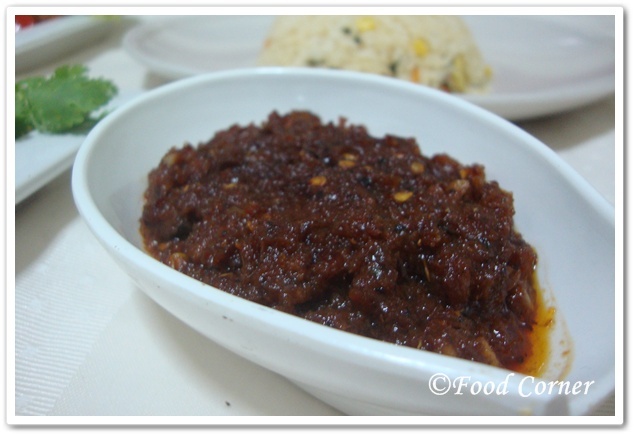 This chili paste is fine with fried rice. Please arrange all the required ingredients nearby before start cooking. This should be cooked faster; there is a chance that shrimp can be turned black. New to me !! looks YUM !! 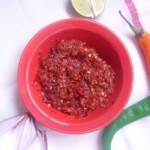 spicy and super flavoured paste which can be used in lot of dishes.. I do vegetarian version! It looks delicious and tempting. Looks very tempting and love your space! Hi Amy! Thanks for stopping by HomePayge via Mom’s Monday Mingle! 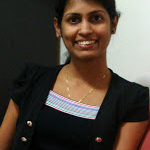 I’m now following you back and I have to say that my husband and I are just SLIGHTLY excited to find your blog! We love food. Like, a LOT! 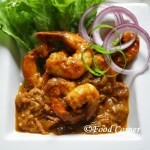 And we are always looking for new Indian food recipes! I am so giddy right now! YAY! 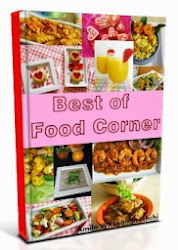 We will definitely be bombarding your blog for new recipes!